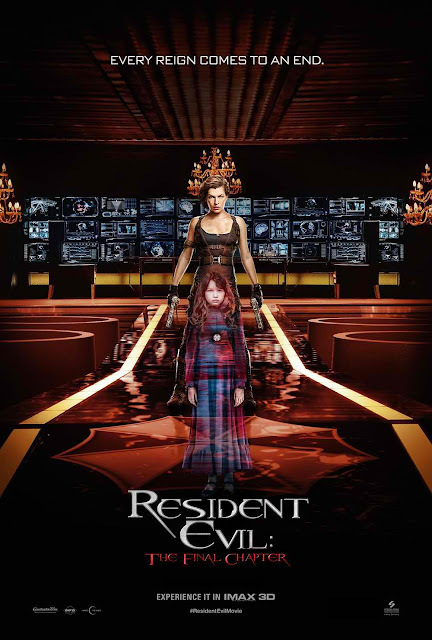 Given the franchise's remarkable success, the fimmakers of Resident Evil: The Final Chapter must find a point of difference, create an exceptional and unseen angle to the narrative, and, if even possible, raise the bar and deliver to audiences a spectacular close to the series. Says Producer Jeremy Bolt, “Fans can expect an Alice who is more vulnerable, more human, and a world that is more desperate, more distraught. The characters are at the end of their tether, giving us a sense that humanity is just about to lose to the T-Virus and to the Umbrella Corporation. Says Milla Jovovich who returns as Alice: “I think fans are going to love this movie because it is everything that we have wanted but didn't have the chance to make for the past six movies, and at this point finally we're doing it. There are so many aspects that will be mind blowing, the crazy sets, the amazing stunts- there's something for everybody. This movie has kind of got it all and I'm very proud of it”. Co-star Ali Larter enthuses, “It’s unbelievable that this will be the ‘last chapter’ and I think it will be the rawest. Audiences will feel this different connection between people and sense a real humanity.